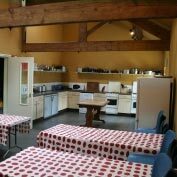 Swarthghyll Farm Cottages and Bunk Barn Activity Centre offers self catering accommodation in the Yorkshire Dales. 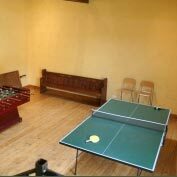 The bunk barn sleeps 40 and there are 4 cottages, providing accommodation for between 2 and 5. Situated near Buckden in Upper Wharfedale, Swarthghyll Farm is 5 miles away from Hawes, offering good pubs, restaurants and tea rooms. It is within easy reach of the Dales Way, the Pennine Way and le Tour de France 2014 Route. Set in the beautiful Yorkshire Dales, Swarthghyll Farm and Activity Centre is a working sheep farm consisting of 1000 acres. It is ideal for walkers and cyclists and a perfect stay for corporate team building, schools or universities and outdoor activity groups. 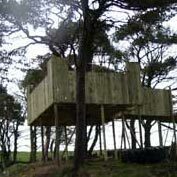 It is great for an overnight stay, midweek break or something longer.